Ocala, Florida — An Ocala man faces additional charges after he resisted arrest while being served a warrant for violating his probation. 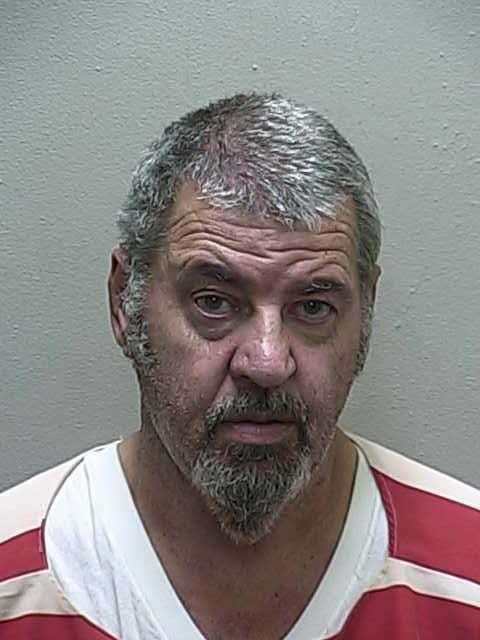 Ocala PD Officers, J.C. Douglas and N. Hardy were responding to the Department of Corrections Probation and Parole Office at 5640 SW 6th Place, to transport 64-year-old Michael Lavern Ohman to jail for violating his sexual offender probation. Shortly after arrival, P & P Officer Randall Baker along with three other P & P Officers, advised Ohman that he was under arrest. When Officer Douglas attempted to handcuff Ohman, who was still seated in his chair, Ohman stood up and said, “No” and demanded to speak with his wife. According to reports, he shoved Officer Douglas backward and tensed up, refusing to be cuffed. Officer Hardy then helped Douglas turn Ohman around and forced his hands behind his back, successfully cuffing him. Ohman was taken to the Marion County Jail on charges of Violation of Probation and Resisting Arrest with Violence. He was only 10 months into a 20 year probation term for Lewd and Lascivious Molestation on a Child under the Age of 12.